Abbey Roofing uses all types of tiles from many different companies, some of these include, Marley, Redland, Sandtoft, Russell and Eternite as well as any hand-made tiles supplied from smaller companies as well as the larger, more well-known companies. Before any roof tiling is started, a full specification is given by our surveyors with advice given on the right tile for the job as well as any new looks. Any other technical information can be provided i.e. dry systems, ventilation and traditional features. 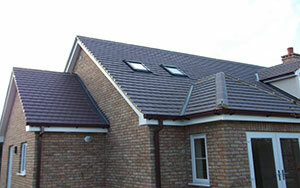 As well as our slate roofer’s, all our tile specialists are CITIB trained too and always aware of any new regulations.